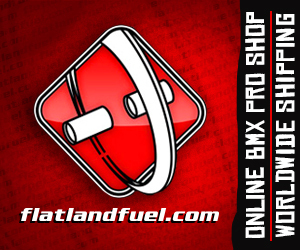 OG Flatland BMX Session from JMK Pictures on Vimeo. A couple of thoughts passed through my head watching this well produced OG Flatland session this morning that I feel like I have to share. Number 1, my apologises to Jim McKay missing this the first time round. Number 2, if you are blessed enough to have an amazing scene like this. I mean this looks like an average session without calling anyone, take advantage of this, hold jams and get togethers and grow the scene. Good riding from Ed Jodie, Ruben Castillo, Chris Anderson, Kenny Boucher, Bobby Burge, and Julio Cotto not to mention the quality of videography is really good with a nice tune to boot. Don’t sleep on this one. session at the church from Kenny Boucher on Vimeo. Put the camera down and ride! Check this un edited video from Kenny Boucher riding at his local church riding spot! Lot of really nice inside rolling moves in this one!